These instructions assume that you have already installed the app. See the Installation and Setup instructions if you have not yet installed it. 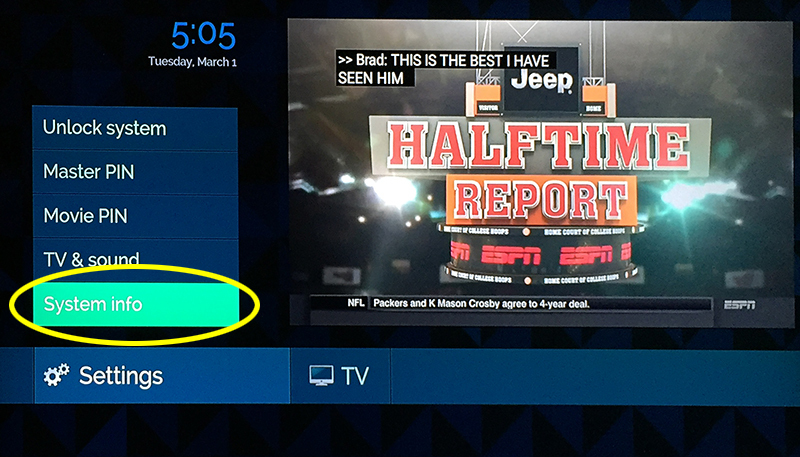 After installing and launching the app, press the ‘Menu’ button of the Fire TV remote control (the button with three horizontal lines), to invoke the Stream2 app’s main menu. 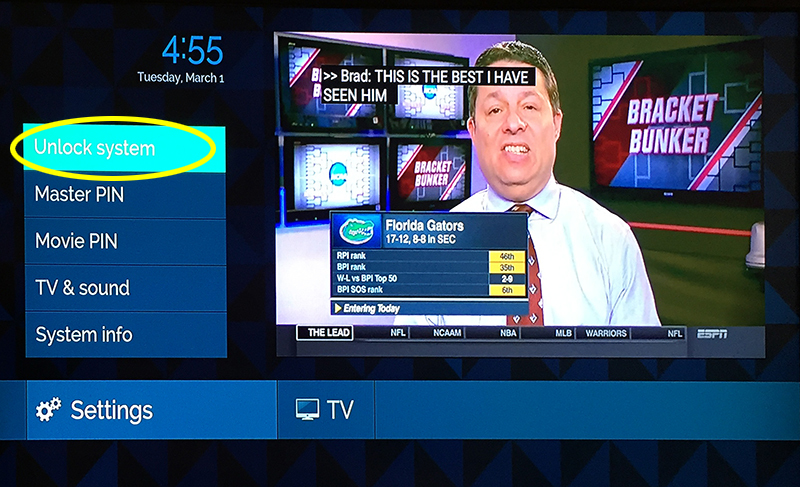 Channels are presented by the name of the network. 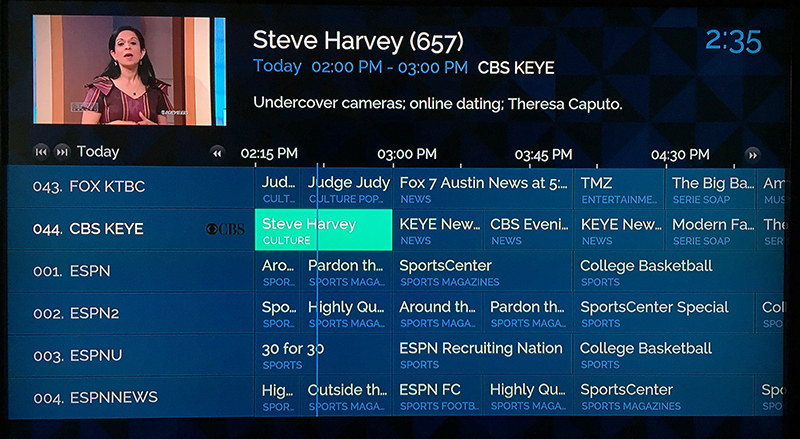 Channel numbers are assigned by the Stream2 system, and are not associated with the channel numbers for local TV channels. 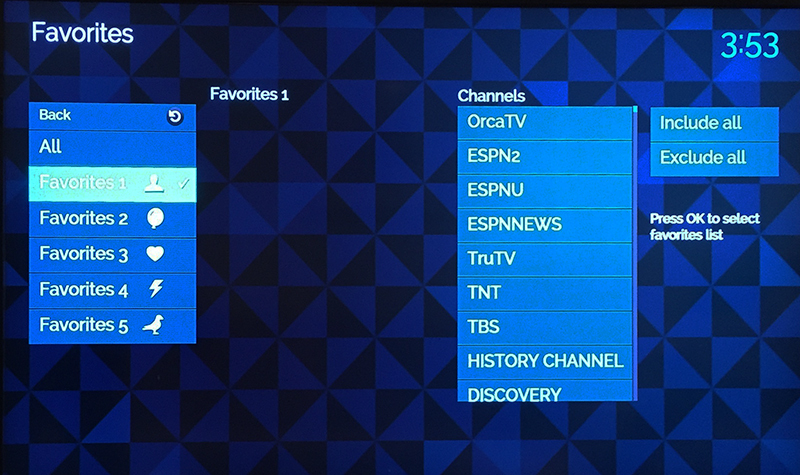 Use the up and down directions of the Fire TV remote control ring to scroll up and down the channel listing. To select a channel and begin watching TV, press the button in the center of the remote control’s control ring. 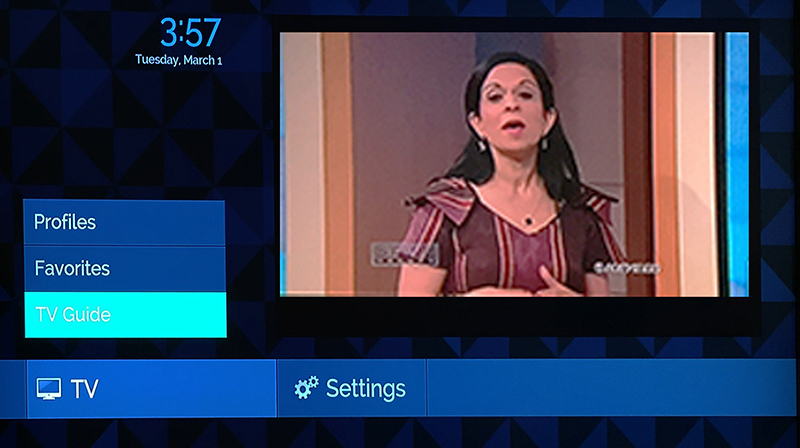 After selecting a particular channel or while watching TV, you can press the center button a second time to show a ‘Mini EPG’ with the next few shows for that channel. Click a third time to show the details for the current program. 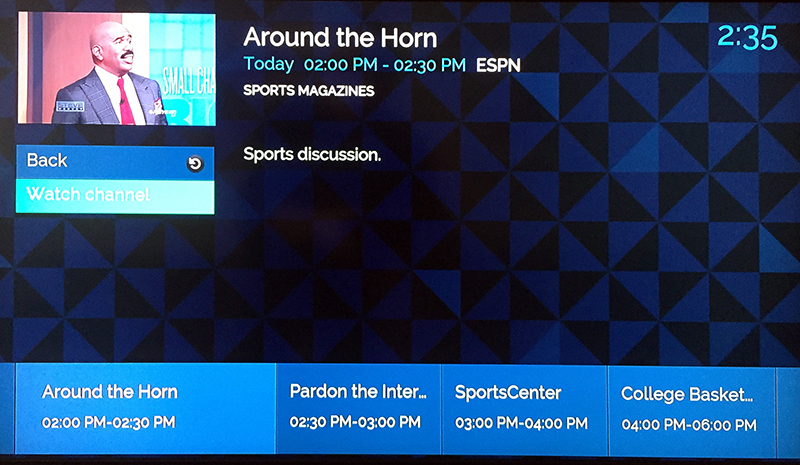 If you scroll to a future show in the Mini EPG, you can also display program information about that future show. ‘Favorites’ are accessed from the Main Menu. Users can establish multiple favorites lists. The Settings menu has several options, but only two are used with Stream2. These are the ‘TV & Sound’ menu, and ‘System Info.’ The other settings can be ignored in this release of Stream2. 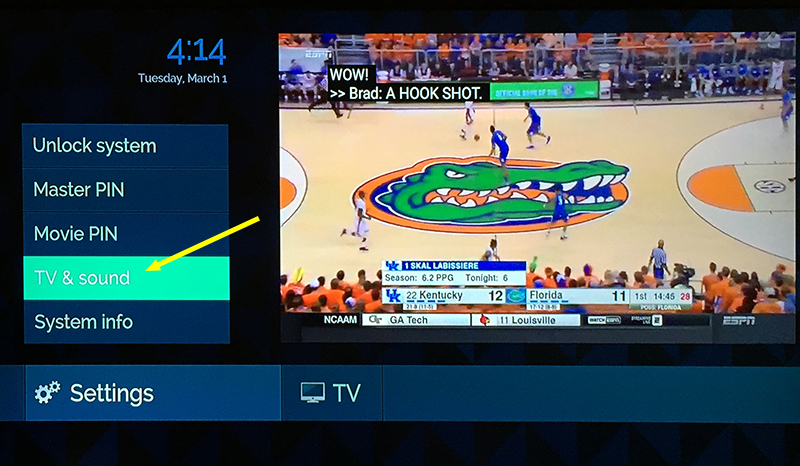 The TV & Sound provides access to Closed Captions. 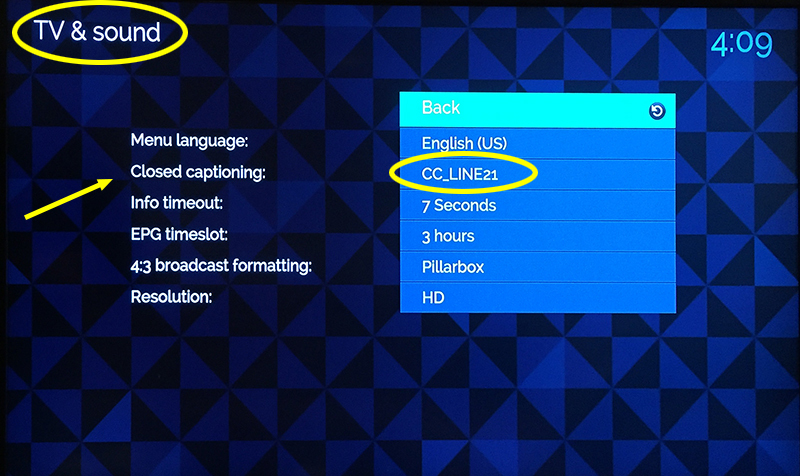 Navigate to Settings, then TV & Sound, and then click the control ring of the remote control to the right, scroll down to the setting for Closed Captions, and click the center button to select. 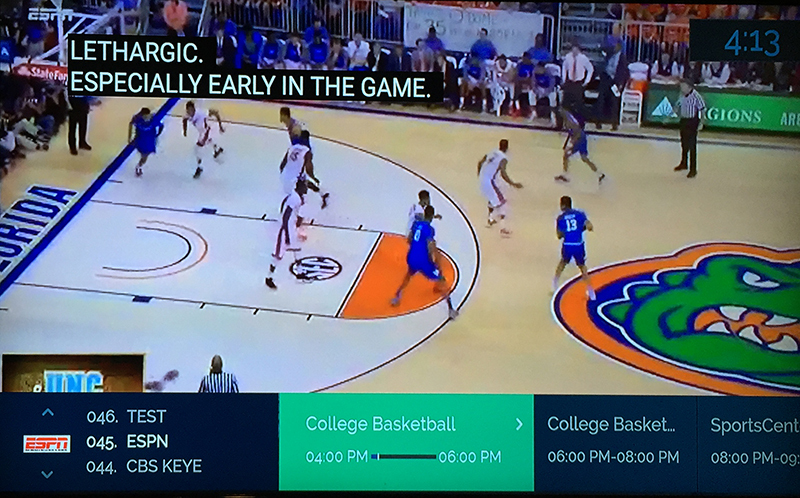 Clicking left and right on the control ring changes the Closed Captions setting. Via the Settings menu, scroll up to ‘Unlock System.’ You will be prompted to enter your Password, using your remote control. 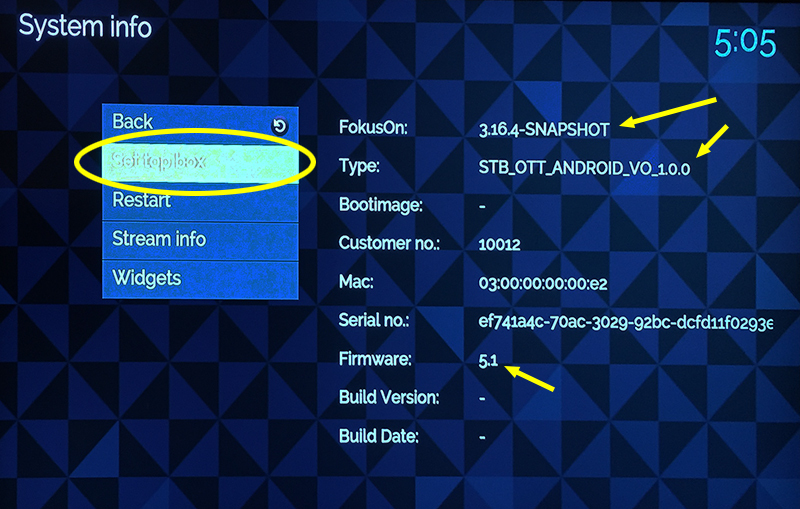 Also under the Settings menu is the selection for System Info, which lists the version number of the Stream2 app, and other information that could be useful when making a call to Technical Support. 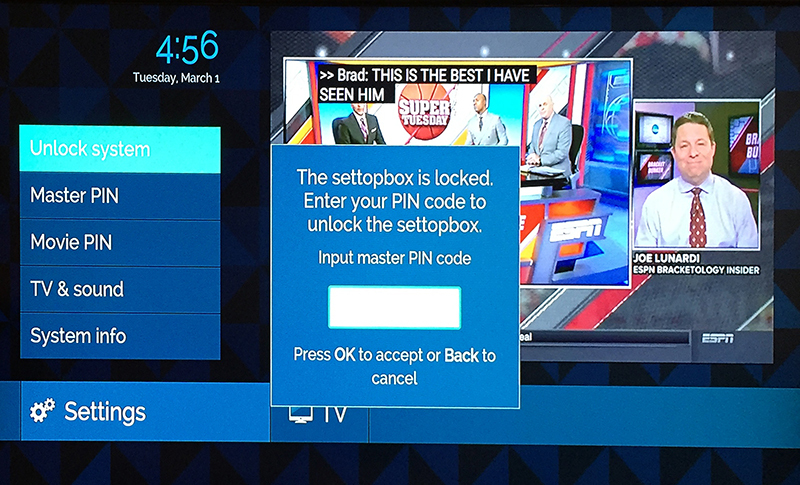 Select ‘Set Top Box’ for information about the Stream2 App.